NEW YORK — September 18, 2018 — Verve, the leading mobile platform for location-powered programmatic video and display marketing, today announces its exclusive partnership with Accretive Media, a programmatic digital out-of-home (DOOH) advertising platform. The partnership brings location-powered consumer insights, targeting, and measurement capabilities to the DOOH space, empowering brands and advertisers to reach uniquely-qualified consumer segments that take into consideration movement patterns as well as the benefit of cross-screen exposure. During a time when ad spend on traditional media has declined, JCDecaux’s Global Ad Spend Forecasts cites out-of-home (OOH) as an outlier, forecasting impressive ad spend growth for 2018 and record-high market share since 1993, with growth in DOOH making significant contributions — 15% in 2018, accounting for a greater, and growing, share of total OOH. Media planners have also taken note. 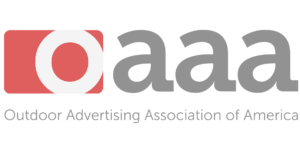 According to The Digital Place Based Advertising Association’s (DPAA) eighth annual survey of media planners, more than 60% of planners included digital place-based (DPB)/DOOH in their media plans — a 22% increase over the prior year — and 44% of them recommended plans that combined both DPB/DOOH and mobile. Planners also indicated that they would be more likely to recommend DPB/DOOH if mobile was used for retargeting (78%) and measurement (75%). Verve’s patented real-time location intelligence on 260M devices — covering ~90% of US households — and the foot traffic and longitudinal movement insights that relate the people behind these devices to places and purpose enable advertisers to pinpoint ideal segments to drive their business with proprietary Verve Activate™ audiences. Through the Accretive Media partnership, advertisers will be able to message these audiences with DOOH and increase frequency to exposed DOOH geographies to ultimately understand incremental store visits with Verve’s measurement and analytics product, Verve Momentum™. Founded earlier this year, Accretive Media’s platform reaches targeted, on-the-go consumers on digital screens at over 130,000 venues across the United States. 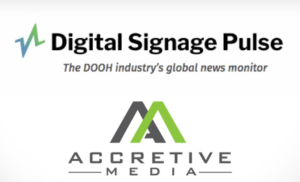 The company’s proprietary Accretive Data Lake (ADL) is one of the most advanced consumer data platforms in the adtech space, and first-of-its-kind in DOOH. ADL combines location and geo-temporal information with people-based profiles and deterministic attributes to create a comprehensive view of a consumer’s digital and physical footprint through a patent-pending process, allowing the company to identify and segment consumers to reach on its out-of-home screens.